Thursday, November 1st, 2018 at 3:00pm. 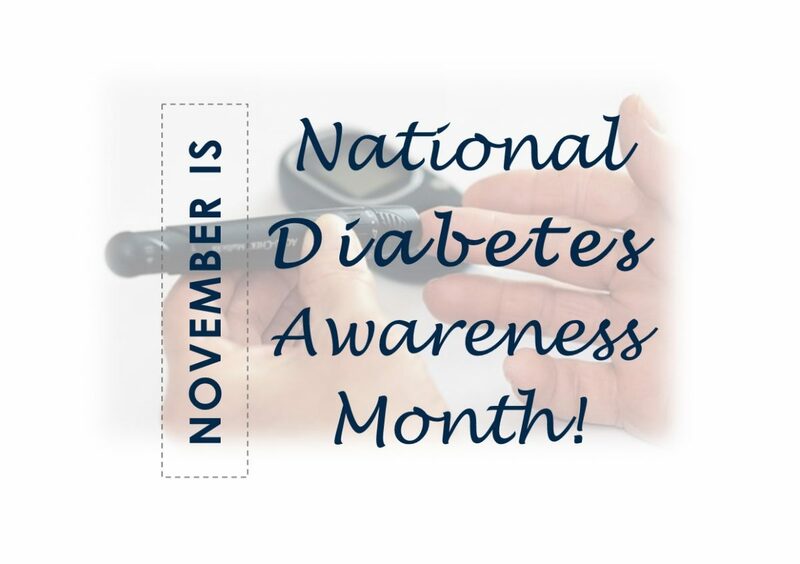 It’s November, and this month is usually associated with the holidays and cooler wintery weather however it is also National Diabetes Awareness Month. Did you know those diagnosed have face challenges daily? Diabetes can affect every decision – what to eat, wear, do and other decisions about how they'll take care of themselves. Yet the 24/7 burden of diabetes management is often misunderstood. National Diabetes Month is observed every November so individuals, health care professionals, and communities across the country can bring attention to this chronic illness and its impact on millions.